TV series is based on Sir Arthur Conan Doyle’s characters, authorised by the Conan Doyle Estate. 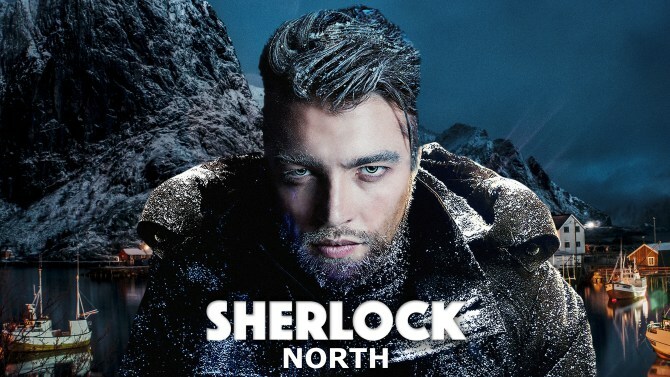 GÖTEBORG - Finland-U.S.-based Snapper Films has unveiled a new TV series “Sherlock North,” which adds an intriguing twist to one of the most valuable of European entertainment properties. Not many people know it, but in 1903 Sir Arthur Conan Doyle wrote a short story, “The Adventure of the Empty House,” where after faking his his own death at the Reichenbach Falls, Sherlock Holmes travels to Scandinavia, on the run from nemesis Professor Moriarty. Under a false identity - an explorer named Sigerson - Holmes settles in dark and cold Lapland, in northern Finland, sparking a culture clash between the upper-class, fast-talking and eccentric Brit and the down-to-earth Nordic characters. Finnish writer-director-producer Juha Wuolijoki will run the upcoming 10-hour television series “Sherlock North,” which he introduced yesterday as a work-in-progress at the TV Drama Vision section of the Nordic Film Market in Göteborg’s 40th Film Festival. He aims to shoot the series in the winter of 2018, at the latest 2019. Finnish broadcaster YLE is on board for series development. A film graduate from Helsinki’s University of Art and Design, Wuolijoki was interested from an early time in his career in working with foreign partners, and also actors: “There are great artists in Finland, but when you are outside your comfort zone, you have to push yourself,” Wuolijoki said. In 1998 Wuolijoki set up production company Snapper Films in Helsinki. In 2007, it produced “Christmas Story,” the top-grossing Finnish film of the year, which was sold to 120 countries, including the U.S. and China. He started producing for other directors, launched a Los Angeles division of the company and a local distribution arm, for theatrical, video, VOD, which now buys films for Scandinavia and Finland in particular. “I have directed for TV before, but “Sherlock North” is by far the largest and most expensive series I have been involved with,” added Wuolijoki, whose “Gourmet Club” (2004) won best screenplay at the Monte Carlo Television Festival. “I got to know representatives of the Conan Doyle Estate, and we were discussing the Sherlock brand; his stay in Scandinavia is in the book, but nobody has done anything about it,” Wuolijoki said. The more Holmes works as a detective, the more he is at risk of Moriarty finding out his whereabouts. “Doyle did not write what he did there, we created that, and it has been totally approved by the Doyle Estate. It is a Nordic series, with a Nordic identity, with an international appeal,” Wuolijoki concluded. Credit to Jorn Rossing Jensen of Variety Magazine. Source. Interested in aligning your brand or product with the legendary Arthur Conan Doyle? Sign up for good news, views and updates from The Conan Doyle Estate.